Irina completed her yoga teacher training with Master Ravindra. But she believes that teacher training should never end. 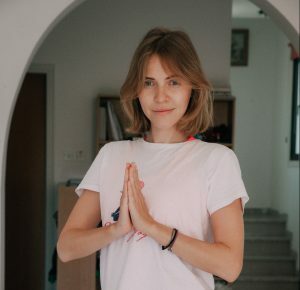 There is always something more to learn to adapt to practice… Her Yoga journey started 10 years ago from power yoga in the gym and after she tried different schools and styles in different countries but yoga was like a hobby from time to time.